Darwin Digital are specialists in developing Restful Application Programming Interfaces (APIs) in both self-hosted and cloud-based digital environments. Our experienced developers have built numerous WEB and RESTful API’s for web applications but also for mobile applications. Our highly talented team are specialists in building clean APIs, with the singular goal of delivering a flawless user experience. Developing and designing bespoke solutions is in our DNA. Prior to development, we examine whether we execute and build upon your existing API(s) or whether our developers create one for you. 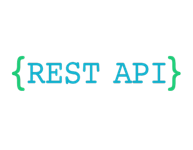 RESTful APIs does not depend on other platforms and can be easily integrated into other platforms. This makes a RESTful API suitable for all different queries.